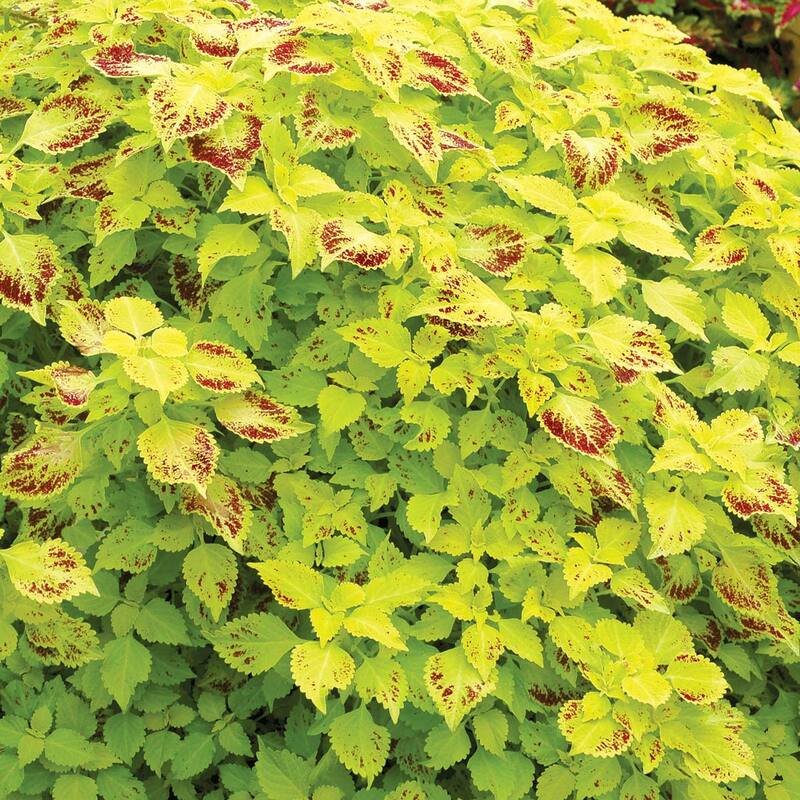 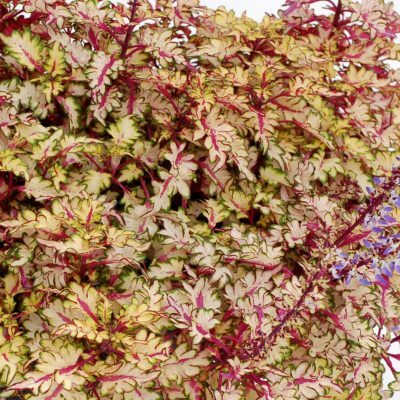 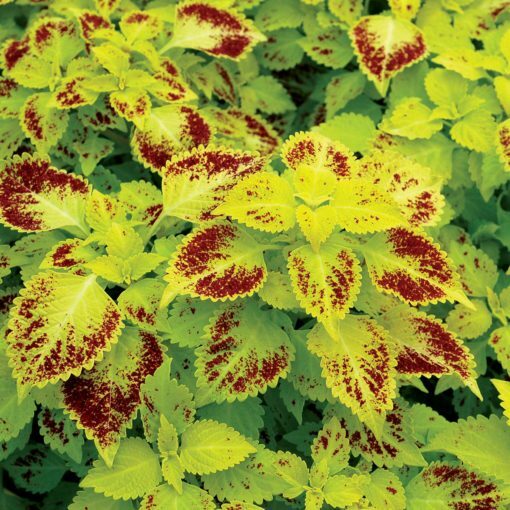 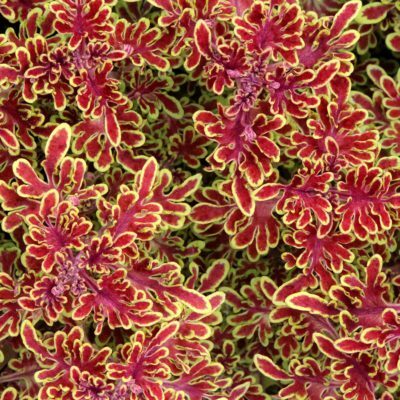 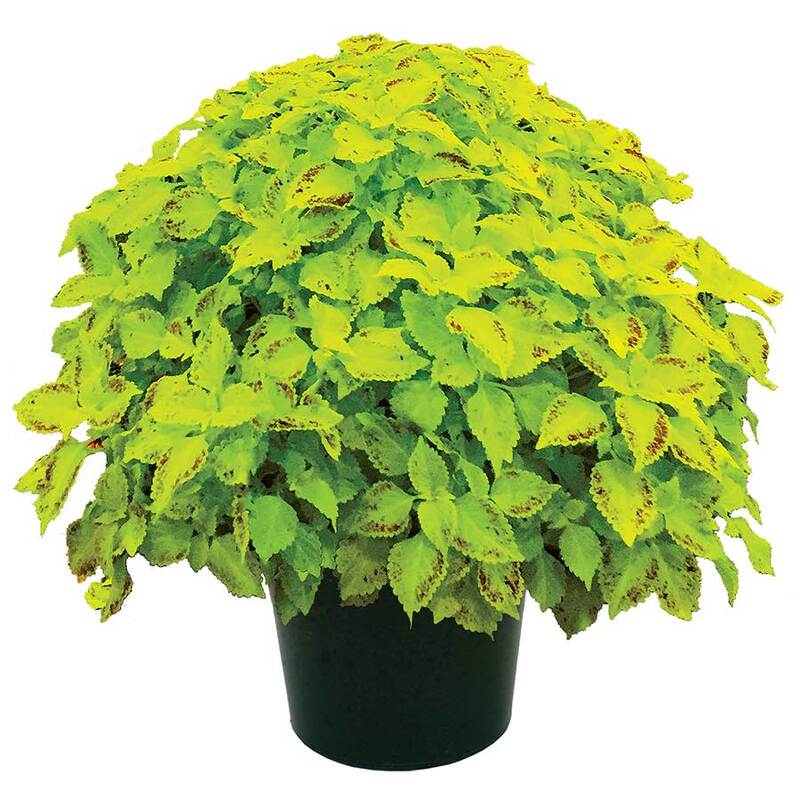 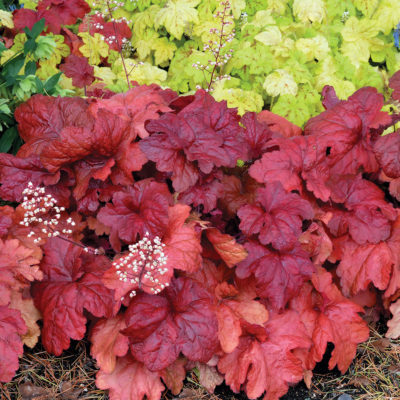 Coleus TERRA NOVA® ‘Pepperpot’ | TERRA NOVA® Nurseries, Inc. 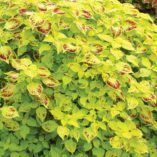 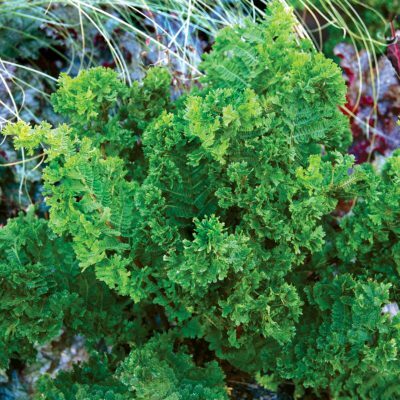 Vigorous, self-branching mound with lovely lime green aging to bright lemon yellow leaves curiously marked with dark cayenne colored flecks. 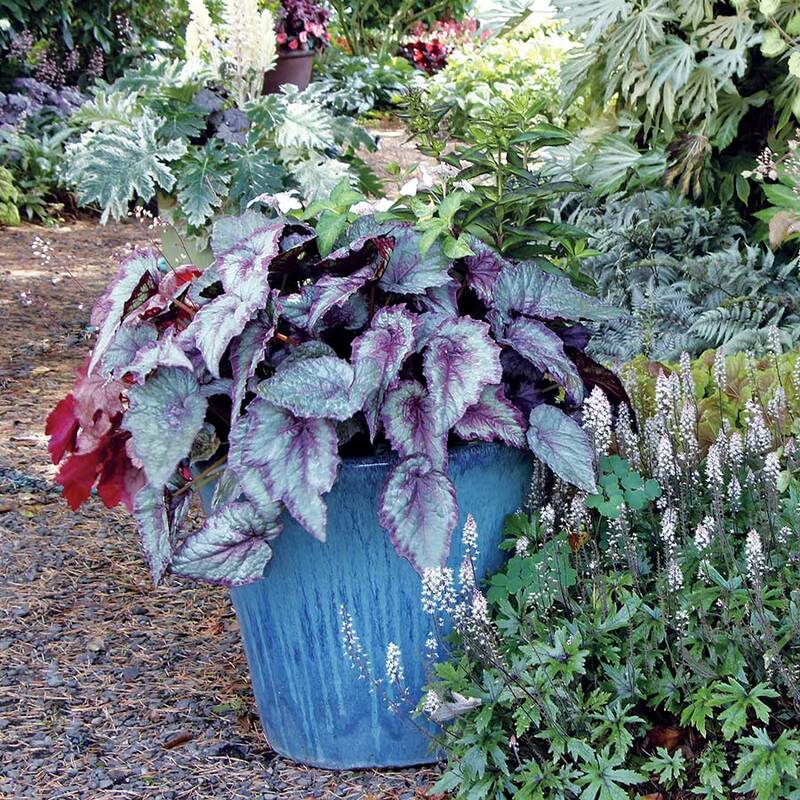 Late to flower with short lavender blue spikes.